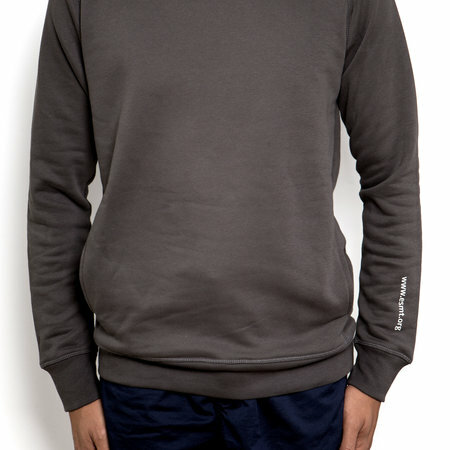 Made from organic cotton, this soft unisex ESMT sweatshirt sports a fashionable cut with side pockets and a loop on the hood for headphone cables. 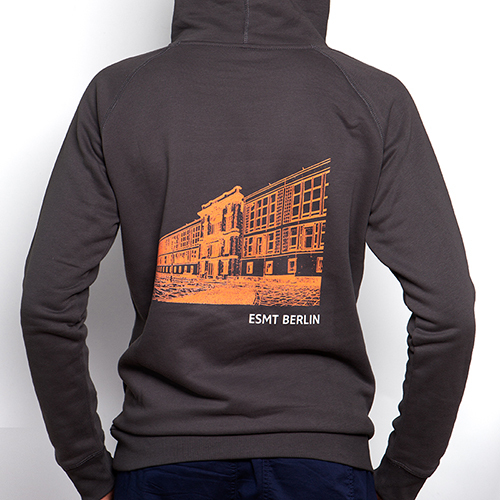 Dark gray sweatshirt with orange print of the ESMT campus (former State Council Building) on the back and small gray ESMT print on the sleeve. 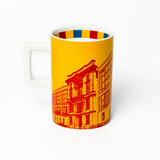 With ribbed seams. 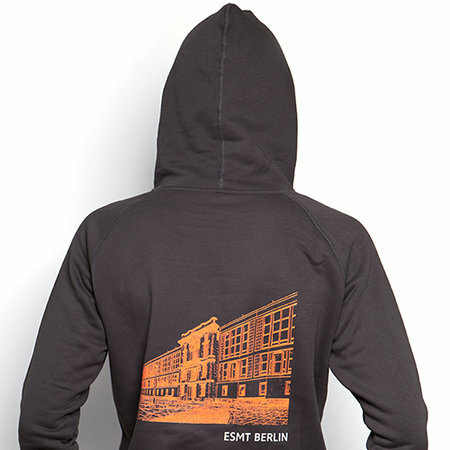 Available in S – XL.